it takes forever to make but it is totally worth it. Have you heard from anyone who made a gluten/dairy free roux? I’m thinking of sweet rice flour (very glutinous) with rice milk. Any comments or ideas? People are fond of the GF/DF rouxs – but I’m wondering how they will work with the rest of your recipe. OMG!!! 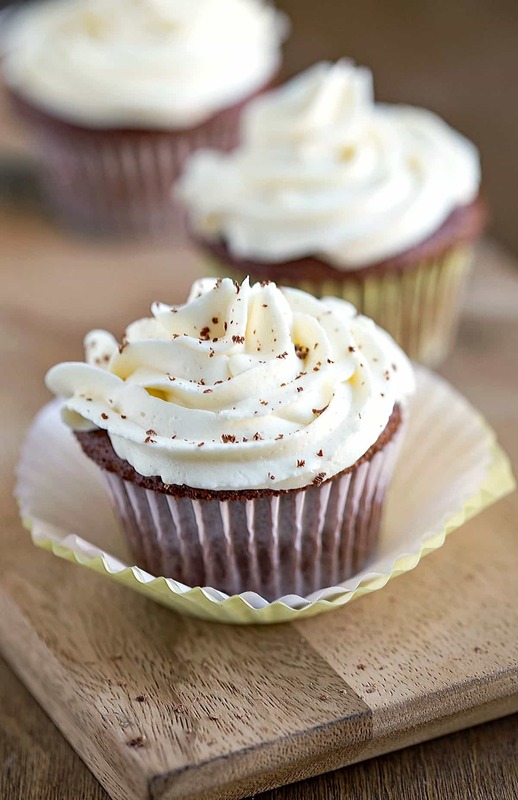 This frosting is to die for! Thank you for the rockin recipe! Wow! What a cool way to make frosting. My preschoolers helped me and we had a blast. They complained that it was taking a long time. First time making buttercream. Thank you! I’m glad you guys had fun making it. =) Thanks for commenting! On my first time making frosting from scratch and it turned out great! And two kid approved! First time ever making frosting…I am a seventy-six year old guy who wanted to make a cake for a couple friends.. Yay!! Well, congrats!! This isn’t the easiest frosting to begin with, but I love that you went for it and that it was a sucess! =) Thank you for coming back to comment! It made my day. Truly the key is the time it takes to reach the right consistency. It’s like whipped cream if done right! A keeper recipe. I don’t think I will ever use the powered sugar version again. This is a GREAT recipe. Thank you! Thank you so much! I’m glad that you liked the frosting. =) Thank you for commenting! This is called milk roux frosting and was the traditional frosting for red velvet before cream cheese. It is also VERY VERY yummy using cream instead of milk. Be aware. Its not as easy to pipe as other frostings and needs to be kept refrigerated esp in the summer. This recipe is completely perfect!!! If I have extra how long can I leave it in the refrigerator? I can’t tell if my last comment went through lol. Can I sub the vanilla extract for lemon juice? 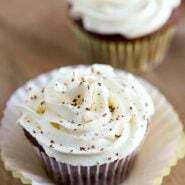 I want to make a lemon frosting, do you think replacing the vanilla extract with fresh lemon juice will curdle the milk? Hi! I haven’t tried to add lemon juice to the frosting. It might curdle the frosting, but I can’t say for sure. You could also try using a lemon flavor and lemon zest. I tried this 2 times the first time was great but the second time the butter melted what should i do now ? What step are you at in the recipe? my flour and milk texture didn’t thicken and i don’t know why? I’m happy to help you troubleshoot. Can you give me more information? How long did you let it cook, and what did it look like when you stopped cooking it? LOVE this receipe and thank you for sharing. Every other one i have tried comes out too sweet. I love how light and airy this turns out. I usually double it and add some almond extract as well. Thank you! I’m so glad that you like the frosting. =) Almond extract is a great addition. Thank you for coming back to comment! I’d give -5 stars if I could…. Well…maybe I should have finished the frosting first. It was still grainy after creaming the butter and sugar but once you add the flour/milk mixture the grainy texture went away!! woohoo!!! I am making my 3rd batch THIS WEEK right this second. 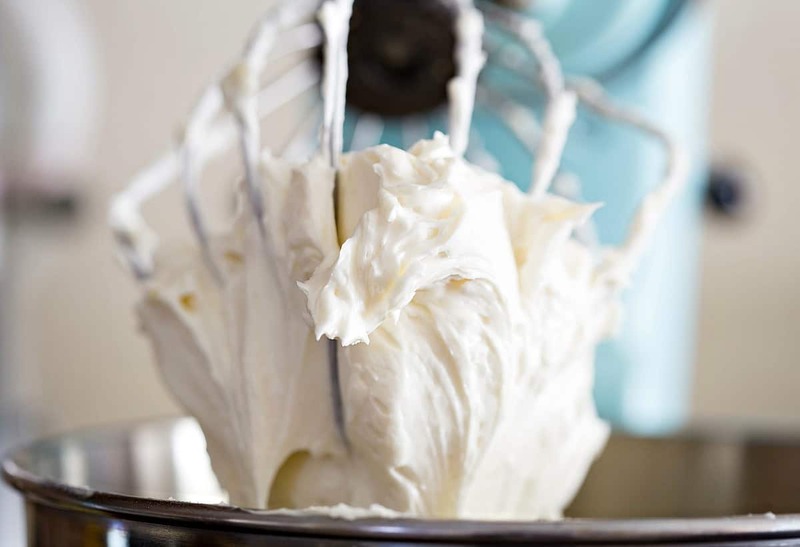 I’ve dreamed of a buttercream with all the flavor but without the density and finally… Dreams come true! I’m not like a regular mom, imma cool mom so I belt out my own rendition of whip it by DeVo while the kitchenaid whips it. The teens roll their eyes so hard they get stuck! 🤣🤣🤣 Anyway, this is the best and now my go to! Ps… if you’re a spoon sampler like me, be careful bc it’s so light you can give yourself a tummy ache bc you’ve eaten it all before you know it. Thank you! I’m so glad that you liked the frosting. =) Thanks for coming back to comment! Hi there.. 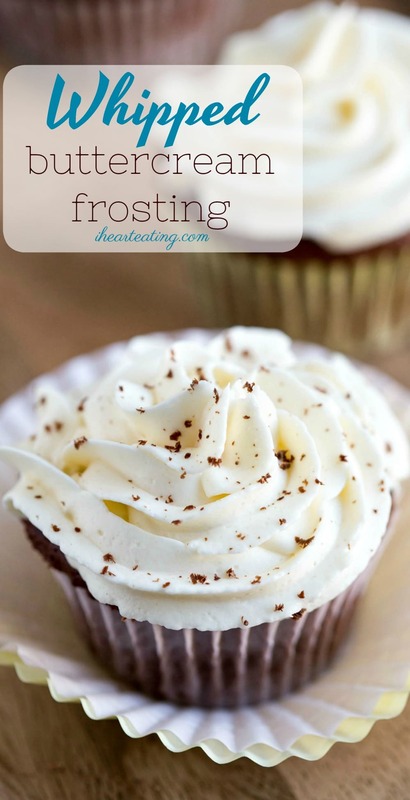 I tried this frosting today to frost a last minute eggless cake order. 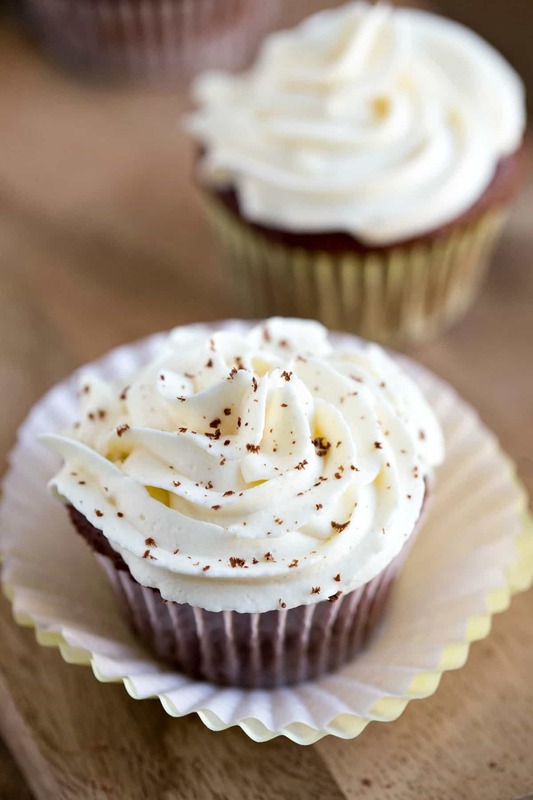 It’s a great tasting frosting, however, I had small lumps of flour paste on my buttercream. I put the whole batch through a sieve, even then I had tiny bits of the flour paste in my buttercream. I followed the recipe exactly. I made sure the milk and flour paste was completely cooled. Is there anyway to avoid this. I would really like to try it again but I am terrified. Yes it was completely incorporated. It was a beautiful smooth paste before I let it sit to cool down. However while cooking I did notice it starting to look lumpy, kind of like what would happen to custard if it’s left to cool. Is there a way it should be cooled down. Like do I need to cover it or keep stirring while it cools. Hmmm, how thick was it when it started to look lumpy, and how high was the heat? I’m wondering if your stove might cook hotter than mine. I just leave it uncovered and let it cool. I have been making this for years and it sometimes does this. Things like cooking the milk too high, weather and mad elves can make this sometimes happen. I learned to pass the flour paste through a mesh sleeve before adding to the butter sugar to get lumps out before not adter. Thank you! I sometimes feel like I have mad elves in my kitchen. =) I haven’t had any issues with lumps in the flour mixture, but that sounds like a great solution should that occur. Thank you for the tips!